If it has been determined that you have sleep apnea, your doctor may give you a CPAP (continuous positive airway pressure) machine . This machine works to increase the air pressure in your throat which prevents your airway from collapsing when you inhale. A CPAP machine can also decrease snoring. This machine has a tube to connect the unit to a face mask and a chin strap to keep it in place while sleeping. It has a small tank of water and a filter, essentially working as a humidifier. To keep your CPAP machine clean and prevent infectious diseases, it is essential to keep your equipment clean and dry. However, some common CPAP cleaning methods simply are not good enough. Consider a sanitizing machine for a faster, easier, more effective cleaning solution. Which Sanitizer is Right For You? There are many cleaning and sanitizing options available for your CPAP machine. Two of the most effective and popular are SoClean and SoClean 2. There is also a SoClean 2 Go machine which is ideal for travel use. These machines are an easy, fast way to clean CPAP machine with no water or harsh, messy chemicals. It is much easier to effectively eliminate germs using this machine than using water, soap or CPAP cleaning wipes. The ease and effectiveness of a CPAP cleaner is especially crucial, especially if you seem to be getting sick more than usual since beginning CPAP therapy. 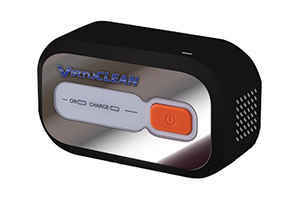 SoClean is a fast, easy way to clean your CPAP machine effectively. It is compatible with all popular CPAP brands and models. It kills 99.9% of germs and bacteria by sanitizing and disinfecting the machine’s mask, reservoir, and hose without any water or harsh chemicals. Since just a single drop of water left in your equipment can create a breeding ground for mold and bacteria, it is essential to find a CPAP cleaner that fully dries your equipment. 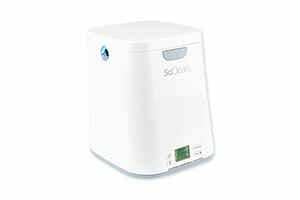 The SoClean uses ozone, also known as activated oxygen, to sanitize your CPAP equipment. Ozone is an effective way to destroy harmful pathogens, such as influenza, E. coli, staph, and strep. The SoClean machine is also simple to operate. To clean your machine, you do not need to take any pieces of it apart. You open the lid, place your CPAP mask in the machine, close the lid and walk away. Ozone surrounds the CPAP mask to sanitize the inside and outside of the machine. When the SoClean finishes sanitizing your equipment, it will be thoroughly dry, sanitized, and ready to use. 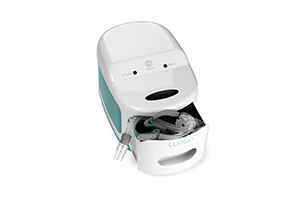 The compact SoClean 2 Go machine is ideal for travel or for those who spend a lot of time away from home. As the world’s first portable CPAP sanitizing device, it features the same proven sanitizing process as the trusted SoClean CPAP cleaner. It removes up to 99% of germs, mold, bacteria, and viruses from your CPAP machine. Similar to the SoClean and SoClean 2, the SoClean 2 Go uses no water to clean your equipment but instead, uses ozone to clean harmful particles. Plus, there is no CPAP machine disassembly required. You simply place your mask in the cleaning chamber and turn it on. Your mask and headgear remain dry during the sanitizing cycle. The cleaning cycle’s progress is shown, and in ten minutes, your CPAP machine will be thoroughly sanitized and ready for use. Sanitizing machines are essential devices for CPAP users. SoClean and SoClean 2 are easier ways to keep your equipment clean and sanitized. When your CPAP machine is clean, you can focus on getting a good night’s sleep and stay protected from unhealthy particles and germs.